Welcome to CampingYurts.com - lightweight, portable shelters, ideal for family camping, vacations. Camping yurts are lightweight, portable shelters, ideal for family camping, vacations, temporary accommodation, special events, or even weddings. They are very spacious with lots of headroom, yet pack-down small and can be easily loaded on a car roof. Our Yurts are an investment in both beauty and practicality, no camping shelter is more attractive and utilizes space as efficiently as a Yurt. Yurts were originally created by the Mongolians hundreds if not thousands of years ago. Unlike the permanent yurts you now see in many State Parks and campgrounds, our Yurts are more traditional being lightweight and portable. 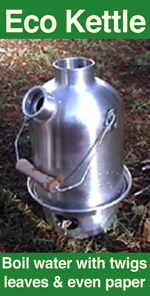 They are specially designed for camping, weighing in at about 120lbs (12ft yurt) and are very quick and simple to set up (45 mins) – as you will see from the video further down the page. 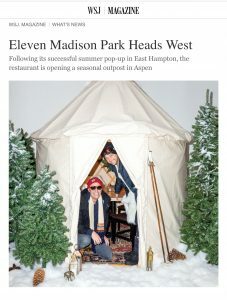 The fine dining restaurant “Eleven Madison Park” in New York City recently bought 9 of our yurts to be used at their restaurant in Aspen Colorado for their winter season. 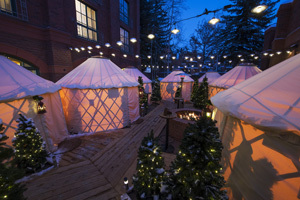 A new novel use of our yurts is for unique dining spaces in hotels and restaurants. In summer, yurts provide wonderful shaded dinning areas either with the wall canvas removed for a gazebo style structure or with the canvas on to provide a more private dining space. Being an icon for the green and back to nature movements, yurts are appearing more and more in movies, TV, advertising and print media. 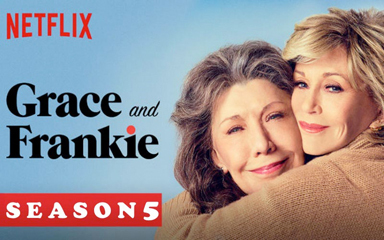 Our Camping Yurts have been used in various TV shows such as HGTV, Grace & Frankie, Transparent, New Girl, Arrested Development, Revolution, in magazines and also in Print Advertising for Honda and REI. 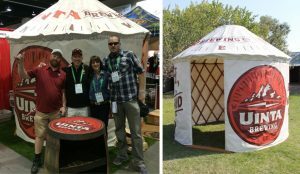 Another great use for our yurts are as booth stands at expos, events and shows etc. Uinta are a brewing company in Salt Lake City, Utah. They wanted a unique booth space for beer festivals. It had to fit in a 10’x10′ space and allow a constant flow of customers, so we created a tall yurt with two off-set doors for entry and exit. Over the last few years we have been building our yurt rental business. We now have a large inventory of small and large yurts to rent for events, music festivals, retreats, weddings etc. We are able to rent small 12ft yurts which are perfect for accommodation either furnished or unfurnished, for Boutique Camping or VIP accommodation. Our larger 20ft and 25ft yurts are great for meeting spaces, lounges, workshops, classes and shade structures. 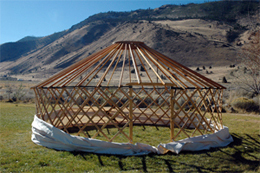 For more information and videos, checkout our yurt rental page. Videos also below. Office Yurts – A whole new idea! Meraki.com, a high tech company in San Francisco approached us to create some custom 12ft office yurts to be used as informal meeting/work rooms. Made in Cherry wood, they have higher walls (65″) four slim vertical windows per yurt and double wood doors. The Meraki office yurts were a first for us and since making them, we have made one for Whole Foods. 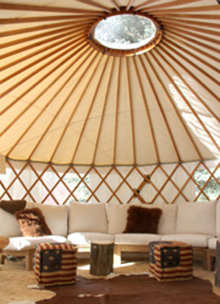 I can’t think of a better space to have a meeting on low comfortable couches inside a yurt. For more information and videos on our rental yurts, checkout our yurt rental page. Our yurts can be used for year-round camping. You stay cool in the summer, by raising the bottom of the wall canvas, which draws-in cool air and the warm air rises and exits through the roof wheel in the center. You can keep snug and warm in winter by simply adding a wood stove – perfect for those winter hunting trips. Our yurts are not designed for permanent living, but for camping, temporary accommodation in the back yard, workshops, quiet spaces etc. etc. Many States are now requiring planning permission for yurts, but as these are camping yurts and truly temporary, they are exempt. (Check with local laws though). Yurts and Gers have been used for thousands of years by Mongolians and other eastern nation, because they are spacious , lightweight and very portable. Due to the financial crises and economic downturn, people are now using yurts as cheap alternative housing. We sell our yurts either complete or in various kits. They come in different sizes (8ft, 12ft, 14ft, 16ft, 20ft & custom 24ft) and with a variety of natural cotton canvas: heavy duty 14oz & 12oz or lightweight 10oz. We also stock Sunforger Marine Canvas that is water and mildew resistant. We even have organic cotton canvas.